1. How much extra light will a Sky Tunnel Tubular Skylight give me? There is no standard answer because of the variables that affect the performance of any skylight. Like time of year, time of day, throat size, length of shaft, dome orientation on the roof, room size, wall colors and general decor. Plus general weather & ambient light conditions always affect the end result. Our many years of experience has taught us that an assessment of these variables, and your needs, is the most effective way that we can ensure that you get the natural light you’re looking for. Your local Sky Tunnel dealer will be able to help you. 2. Does heat come through a Sky Tunnel Tubular Skylight? Minimal heat will enter through the Sky Tunnel, as the unit is double glazed at ceiling level. It also has the dome at roof level, reducing heat transmittance, and none of the tubing components hold heat. Therefore there will be no additional heat load on the building. 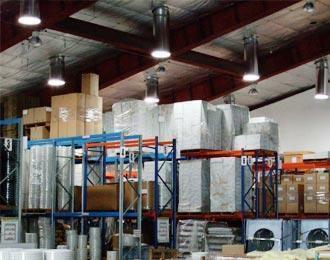 In fact compared to electrical lighting, or traditional skylights, the temperatures are significantly lower. 3. Will my Sky Tunnel leak? No. The Sky Tunnel is watertight and guaranteed against leaking. Your installer or dealer will guarantee the the installation against any leaking. As part of the testing for Australian Standard AS4285 (see certification here), the Sky Tunnel was subjected to winds of 16 metres per second and water spray of 3 litres per second. Any water penetration is a failure. Sky Tunnel passed this and all other tests in AS4285. 4. What Warranty will my Sky Tunnel have? The Sky Tunnel includes a 7 year manufacturer’s warranty. 5. Where is the Technology from? And where is the Sky Tunnel Tubular Skylight made? The Sky Tunnel Tubular Skylight was invented in Australia in 1991, and sold under the name Sola Skylights. It was sold throughout the USA as Sun Tunnel, and the UK as Sky Tunnel. Since 2007 the product has been sold worldwide as Sky Tunnel. Originally manufactured in Australia, the tooling and machinery was transferred to the Philippines in June 2008. All manufacturing now takes place in our factory in the Clark Freeport Zone, Pampanga. 6. How strong is the Dome?? The Acrylic Dome on the Sky Tunnel was live load tested to 120kg as per Australian Standard AS4285. 7. How important is the tubing material? 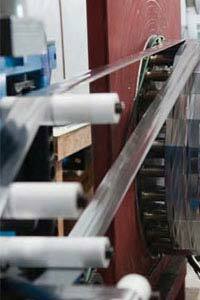 The tubing material is very important as it transmits the outside light into your room. Key factors are the open area of the tubing, the length of the tubing, and that the tubing should be “shiny” and, in the case of a flexible tube, quite taunt. Our Rigid system uses ALANOD MIRO-Silver with a total reflection of 98%. Using inferior products will dramatically reduce the efficiency of the Sky Tunnel. 8. Does my interior color scheme affect the performance of my Sky Tunnel? Yes it does. Light bright colors will tend to reflect daylight around the room while dark colors will tend to absorb daylight. Adjusting the size or quantity will help to solve this problem. 9. What is the maximum length of tubing? For Flexi-tube we recommend a maximum of 3m, which covers over 95% of residential applications. Any longer than this, we recommend using the Rigid98 Tubing system. This can be used effectively over 6m in length, however the longer the tubing, the less light transmittance – regardless of materials used. Yes. If you install the Vari-light, the Sky Tunnel can be opened & closed as required. 11. What is the coverage area for a Sky Tunnel? Our commercial 535mm (21”) unit with 1.5m of Rigid98 tubing is effective for up to 36m2. Certain factors mentioned in Question 1 will affect the overall performance. 12. Can a Sky Tunnel; be used on a multi-storey building? Yes. As long as the space above the Sky Tunnel is clear so the tubing can run as straight as possible. Normally a void, such as a cupboard is placed above the Sky Tunnel so the tubing is not visible in the room it is running through. The roof components should always be installed on a roof, placing them on a vertical wall is not recommended, as the light performance will not be adequate. 13. Can I have ventilation with my Sky Tunnel? Yes. The standard Sky Tunnel has the option of passive ventilation utilising our Interchangable Vent System. 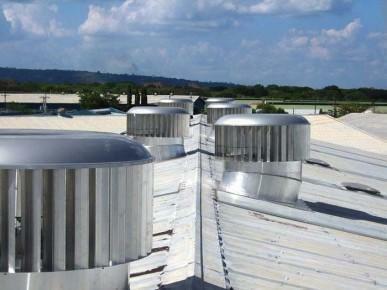 For extra ventilation, you can install the Power Upgrade Kit- Exhaust Fan. 14. Is security an issue with the Sky Tunnel? Our experience has shown us that the Sky Tunnel is not used as a method of entering a secure building. There is a normally far easier and safer point of entry, with most crimes being opportunistic. For those who are concerned, we can advise several options which can be added to the Sky Tunnel; to increase its security.